Apparently, from an average price per bottle standpoint, the Hemel & Aarde has shown itself to be just about the most successful place in South Africa to grow wine. 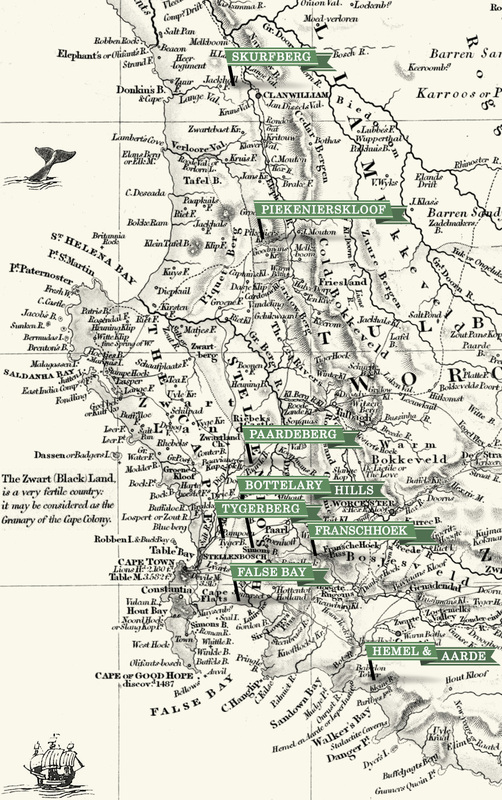 Within the greater H&A appellation, the cool and lofty Hemel & Aarde Ridge is a place worth taking note of. What a blessing to be based out here. Hemelrand is the birthplace and home of Alheit Vineyards. Our friends Hans and Mary Anne Evenhuis own this beautiful piece of the H&A Ridge. We owe them a great debt of gratitude for giving us a space to cultivate our dream here. Hemelrand is already home to the exciting Vine Garden (planted 2010), so named for the care given to it by Hans, and the fact that it was planted as a mixed parcel. Another new vineyard is being planted as I write this (2018), but more on that later.